After the police talked to Ken Swedberg, they called in Lisa, his wife. This is a short interview, only 14 minutes and Lisa doesn’t seem to shed any new light on who may have murdered Chad. During the course of the interview, she sounds light-hearted and even flippant with her answers. Talking to the police right after her brother-in-law was murdered next door to her doesn’t seen to trouble her at all. Lisa definitely avoids talking about Leslie Fain, “we don’t see eye to eye”. She never explains what that means and the cops don’t ask. When asked by the cops what her gut instinct tells her, she repeats what her husband says, “someone in that house did it, Tommy Covington.” Each time someone mentions him, the police are quick to add, “but he was on that bus”, as if to say there is no way he could have done it. I find that strange, very strange. The cops seem befuddled about what or who to talk to next. This, like the previous ones, never mentions the name – Ken Andersen. We now hear the words of Chad’s brother and neighbor. I think you will be surprised at what he said just hours after his brother was killed. This is more of a text book police interview: What did you do today? Let us see your guns. Do you know anyone who wanted to harm Chad? They build a timeline for him and try to sort out the gaps. They just want to eliminate him by listing his guns. The cops actually kind of treat Ken as a suspect and make him even a little jumpy. They do not treat him with kid gloves. However, when he does tell them that Tommy Covington threatened to kill Chad at the same funeral of a young relative he had just slain, they cops seem to ignore him and just go on questioning him as if he told them about working with his bees. Are you kidding me? When the brother of a murdered citizen hands you a person on a silver platter and you do nothing except help that person with an alibi and ask him soft ball questions, well, that seems a little odd to me. What if he had said “Well, I think Ken Andersen did it,” would they have also ignored that? The police had every right to go and arrest Thomas Covington on first degree murder charges and I do believe he would have told you what happened to the late Chad Swedberg. Another strange fact is that the judge at Ken Andersen’s trial would not allow any references to Tommy Covington. Why? This might provide reasonable doubt in their case to convict Ken Andersen. If you were a juror and heard this, would have still voted to convict? If you were a juror on this trial, I think you know by now that you helped put an innocent man in prison. For those who have read this blog and know Ken Andersen’s story, you already know who Al Baker is. For those who don’t, let me introduce him. Al is an older man who lives in the same area where the crime was committed and was a friend to both Ken and Chad. He was helping Chad with the maple syrup operation and was supposed to meet him there the morning Chad was killed. He was supposed to be at the maple syrup stand at 8 am, but for some reason he showed up after 10 am, after Chad was found dead. There is never given a verifiable explanation what he was doing or why that morning. Listen to him talk to the police. He sounds very nervous and tries very hard to blame Ken Andersen (Fud) for the murder, but offers no motive or evidence. The police never treat him as a suspect and are eager to weave his nervous ramblings into a now fractured timeline and theory. I will comment after you listen. I guess if I had to describe this interview with one word, STRANGE, come to mind. He starts right off saying he has no idea who may have killed Chad and in the same breath he accuses “Fud” Ken Andersen, based on nothing more that trying to please the police. Leslie has just called him thinking he was mad at them, or Jessie, and claims they know something suspicious. He says he has been receiving blocked calls and threats, even at the funeral. None of this seems to steer the cops away from their theory now that has Ken Andersen as a suspect. They seem to be listening to him but they are not prone to seek out where these stories were pointing. Al’s memory seems as fuzzy as Leslie and has trouble recalling the events of the murder of a close friend just a week prior. He tells of strange behavior of Leslie just hours after the murder and gives no real insight to any possibility that Ken Andersen killed Chad Swedberg. 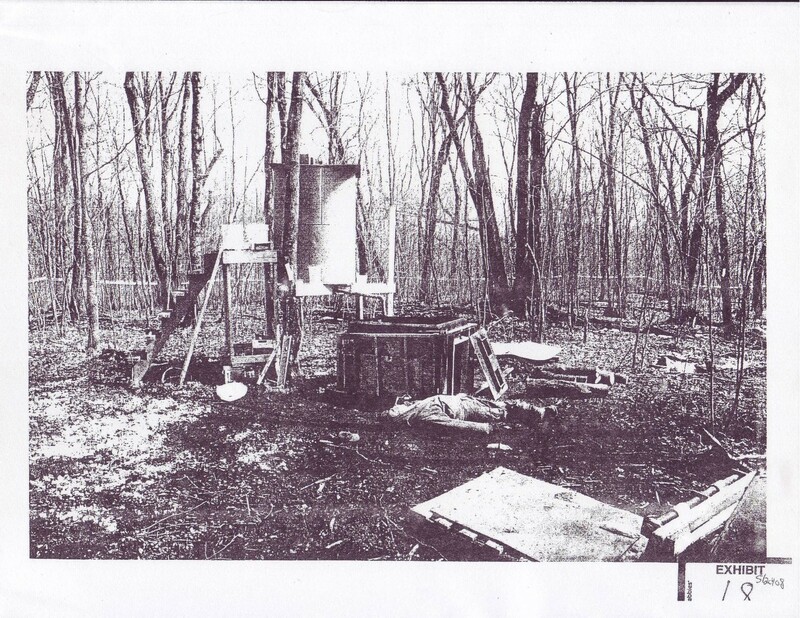 I talked to Al Baker on the phone a few years ago and he steered me to talk about the mysteries of maple syrup making more than what he said at Ken’s trial. Al told me a tale that he now believes a number of people were involved in the murder. I have unanswered questions about his interview. 1. Why didn’t you go to the maple stand at 8 am like you had planned? 2. Where were you from 730 am to 10 am, and can anyone verify it? 3. Are you lying about what you really know about Chad’s murder and why? 4. Do you have any first hand knowledge that Ken Andersen had anything to do with Chad’s murder? 5 Why are you so reluctant now to talk about any of this? okay, is she lying or telling the truth?????? the police have already built a timeline by guessing from what very shaky people told them-how can they ever be sure????? POLICE TALK IN MUFFLED TONES FOR A LONG TIME- WHO ARE THEY TALKING TO??? WHY DID THEY LEAVE THE RECORDING ON? THEY MAKE SURE THEY CAN NOT BE HEARD. Check back next Monday for more…..